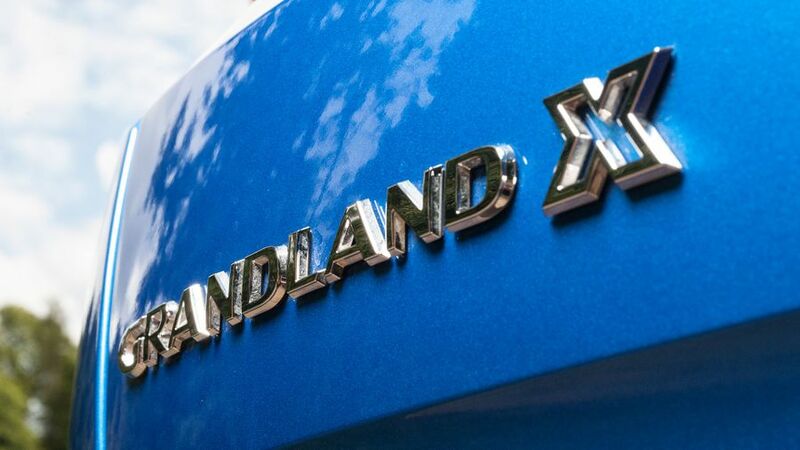 We have no doubt the Grandland X will make a very decent family car. It’s spacious, practical and well-equipped, and shouldn’t cost too much to run compared to its rivals. However, we can’t totally recommend it, as it just lacks that spark of greatness – whether it’s the rather conservative way it looks, or the slightly disappointing way it drives – that sets apart the very best cars in its class. A good package of equipment and performance for a sensible price. Average economy of 70mpg is among the best in this class. Much too expensive for a Vauxhall SUV of this size. 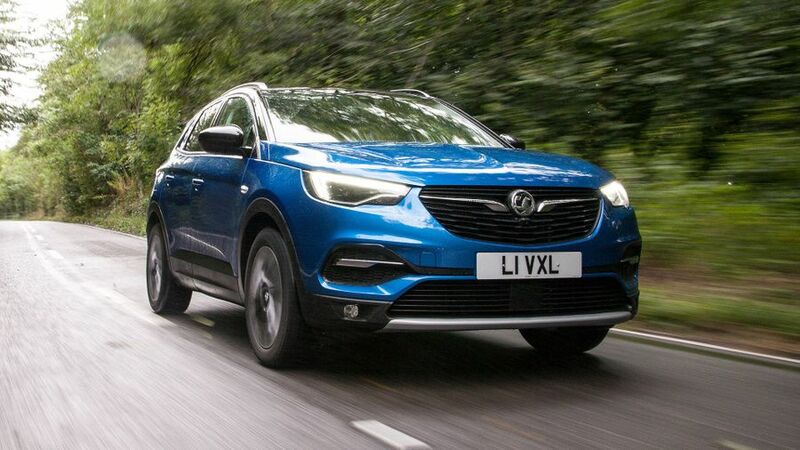 Interested in buying a Vauxhall Grandland X? The Grandland X is based on the same platform as the Peugeot 3008, but you’d never know it from the outside. The two cars could hardly look more different. To some, the Vauxhall may look rather more conservative than some of its rivals, but there’s no denying it’s a smart car. Across the range, you get the smart chromed wings on the grille that flank the Vauxhall badge and link it to the headlamps, as well as front fog lamps. We think it’s well worth upgrading from the basic SE model, as higher trim levels get more chrome trim (on the front and rear skid plates, and in the door handles, as well as around the side windows, for example), tinted rear windows and puddle lights on the side mirrors. Top-spec Elite Nav models also come with full LED headlamps. The Grandland’s cabin could not be more different from what you’ll find in the Peugeot 3008, with which it shares so much. 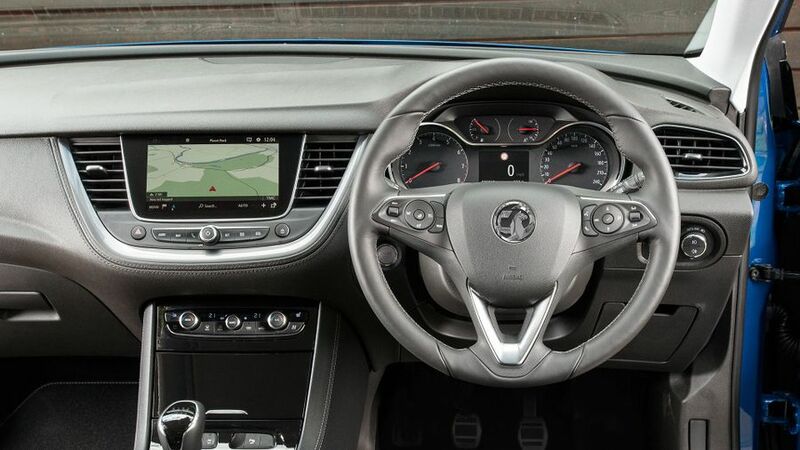 The Vauxhall’s interior is certainly conservative, with some hard plastic surfaces about the place. However, there’s no faulting the cabin layout, with lovely clear dials, and sensibly laid out controls. Some of the most frequently used ones, such as the stereo volume, have rotary controls, which are much easier to use than a touch-screen. 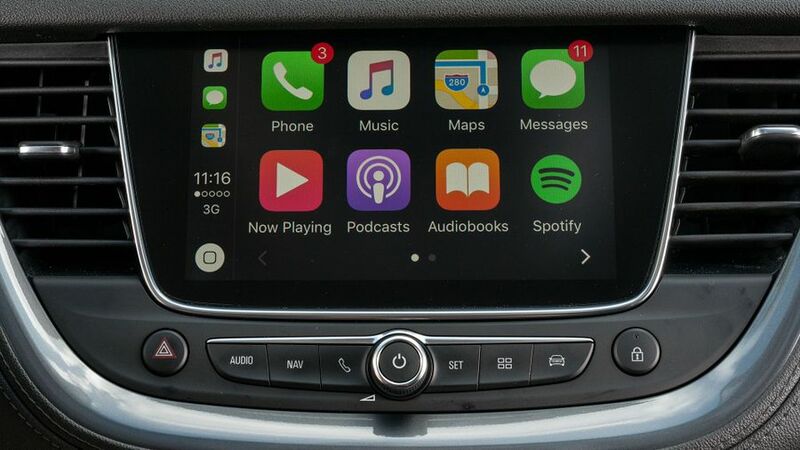 While Vauxhall has given every version of the car a touch-screen, they have moulded the dash in such a way that you can rest your hand on it while you’re prodding at the screen, which helps improve your aim when the car’s on the move. There’s also no faulting the driving position, with lots of adjustment on both the driver’s seat and steering wheel, and plenty of leg-room. You also get enough head-room for a six-foot driver, even if you fit the optional panoramic sunroof that floods the cabin with welcome extra light. Sadly, the same isn’t true of the rear screen, which is small and surrounded by a wide expanse of metalwork either side of it, which means it’s very hard to see what’s going on when you’re parking, even with standard rear parking sensors. This is one the areas where the Grandland is most impressive. On top of the good room in the front, you also get a very decent amount of space in the rear seats, as well as nice, square doors that make it easy to get in and out. 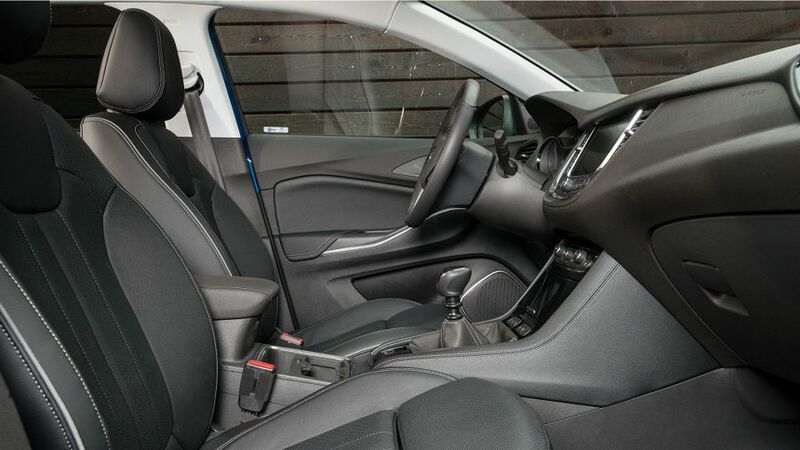 With a flat floor and relatively flat rear seat, you could get three people across the back seat easily enough, and the Isofix mounts are easy to get to for anyone fitting a child seat. It would make a very decent family car. The boot is very practical, too. It’s a nice, square shape, and full of handy hooks and so on to help hold luggage. It’s not quite as big as you’ll find in a 3008, but it’s on a par with the Seat Ateca and much better than in a Nissan Qashqai. However, when you fold down the rear seat backs (split 60/40 on every model), they leave a big lip in the floor. Loading and unloading is made a bit awkward too, by the high lip and wide bumper you have to lift your luggage over. 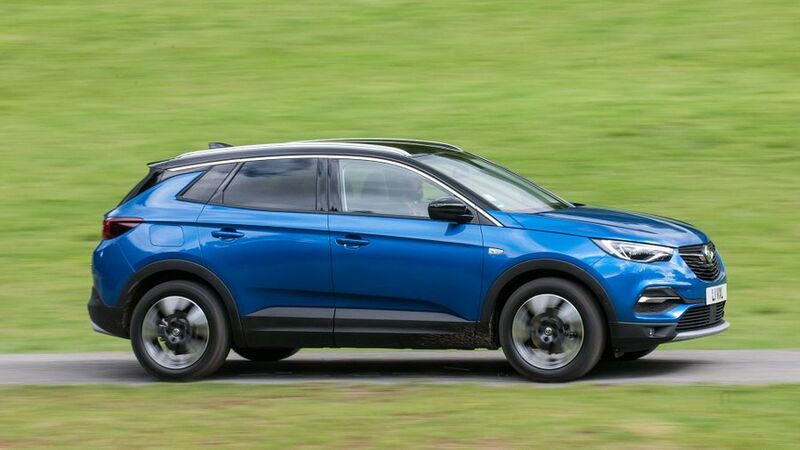 So far, we’ve only driven top-end versions of the Grandland X, which come with relatively large wheels, and that’s not good news for ride comfort. On the top Elite Nav models, which come with 19-inch wheels, the ride can get downright uncomfortable, and it never seems to settle, even on the smoothest sections of motorway. Things are a bit better on the 18-inch wheels that are part of Tech Line Nav and Sport Nav trims, but it’s bearable rather than comfortable. Likewise, the handling is good, rather than great. In isolation, the Grandland X feels pretty decent, without too much body roll in corners, gripping well and felling nice and easy to manoeuvre around town. The weak link is the steering, which feels too light and doesn’t give you much feel once you get a bit of speed going through the car’s wheels. As a result, it doesn’t inspire much confidence in the driver, and the car feels less rewarding to drive than a Seat Ateca or Peugeot 3008. There are two turbocharged engines to choose from in the Grandland X – a 1.2-litre petrol unit and a 1.6 diesel. On paper, they look similar in terms of power and performance, and both do a very decent job of getting the car around. Despite its apparently small size, the 1.2-litre petrol doesn’t struggle at all, responding well across the rev range and every bit as quick as similarly powerful engines in rival cars. Against the clock, it’s quicker than the slightly less powerful diesel, but it doesn’t feel that way on the road. That’s because the diesel has considerably more pulling power, which means it feels easier to drive, as it responds more quickly and doesn’t need working as hard as the petrol engine for the same performance. The standard manual gearbox isn’t the slickest. 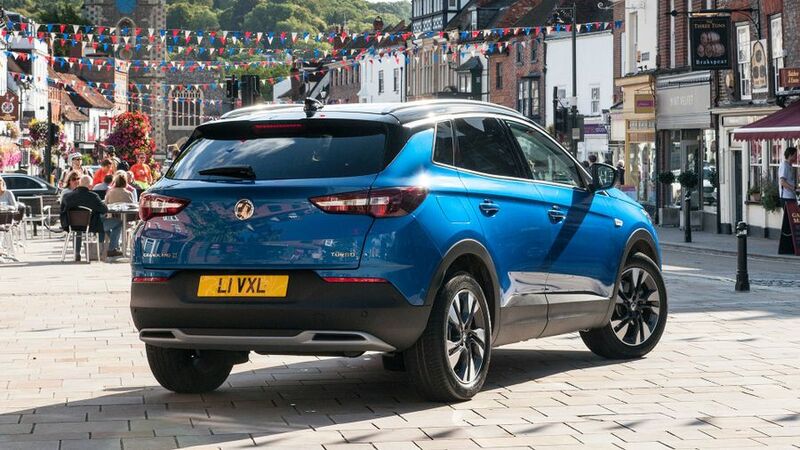 When you look at the price list, you may think the Grandland X looks a bit expensive, but when you consider the Grandland X comes very well-equipped, it seems better value. It seems weird the SE and Tech Line Nav models cost much the same, even though the Tech Line is better equipped. However, Tech Line is aimed at company car users and isn’t available with the same consumer offers (low-rate finance, for example) as the SE – so the SE makes more sense for private buyers. The Vauxhall’s fuel economy (an average of at least 50mpg on all petrol models, and up to 70mpg on the diesel) is on a par with the best cars in its class. The tax liabilities for private and company car users varies little between the petrol and diesel engines, but unless you do a lot of miles each year, we think the cheaper petrol-engined models make more sense to buy. 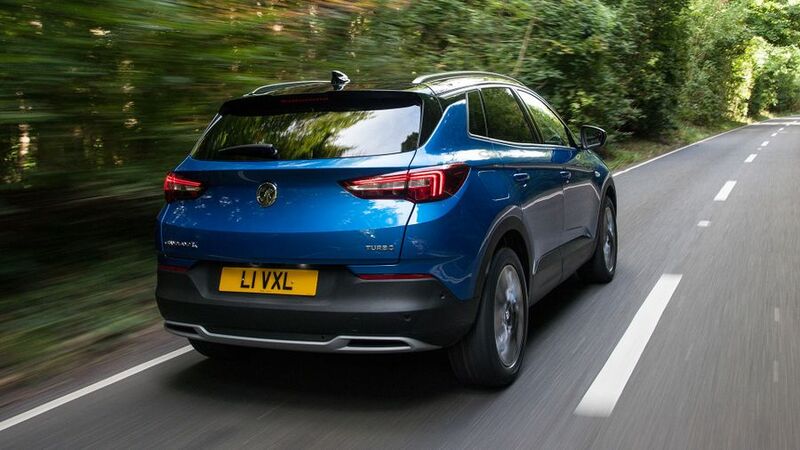 You might expect a car with a Vauxhall badge to lose value more rapidly than its rivals, but initial forecasts suggest the Grandland X will be on a par with most of its competitors. In terms of regular running costs, only insurance looks a bit steep. 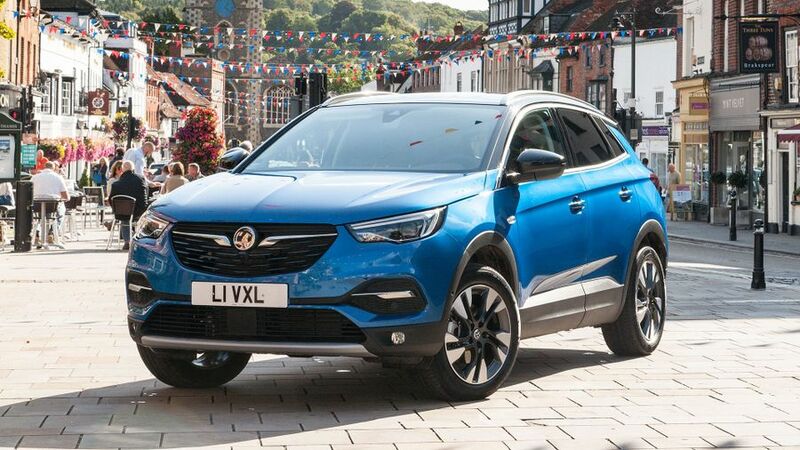 As an all-new model, it’s hard to predict how reliable the Grandland X will be, but Vauxhall as a brand sits in the middle of Warranty Direct’s Reliability Index, well below Nissan, Peugeot and Renault. The company offers a pretty standard three-year/60,000-mile new car warranty, well below what you’ll get with a new Kia Sportage. The Grandland X has already achieved a maximum five stars in Euro NCAP crash tests, matching the Peugeot 3008. Every model comes with six airbags and a lane departure warning system, as well as Vauxhall’s OnStar system (which will automatically call for help after an accident). We think it’s worth stepping up from the basic SE model, as from Tech Line Nav, the Grandland also comes with the Safety Pack, which includes a system to detect driver drowsiness, forward collision alert, automatic emergency braking and a lane assist system, as well as a blind spot assist system. The base model (although as we explain above, not the model with the cheapest list price) is SE trim, and it comes pretty well equipped, with Bluetooth, DAB, Android Auto, Apple CarPlay, dual-zone climate control and cruise control, as well as automatic lights and wipers, and rear parking sensors. Tech Line Nav – as you can probably tell – adds sat-nav (as part of a better infotainment system), the Flex Floor system (that makes the boot more versatile thanks to multi-position pieces of floor) and a powered tailgate, along with keyless entry. Sport Nav is pretty much the same package of equipment as Tech Line Nav, but with some different alloy wheels, while the range-topping Elite Nav brings leather-trimmed sports seats, and an automatic parking system. 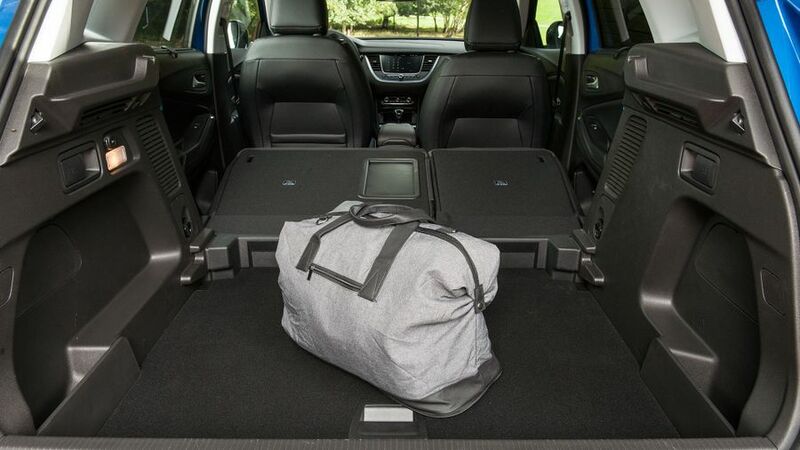 The Grandland X is a perfectly decent family SUV that comes with plenty of equipment and lots of space. Knowing Vauxhall, it should also be available with some very attractive offers, but you’ll have to be willing overlook some weaknesses to part with your cash and buy one.